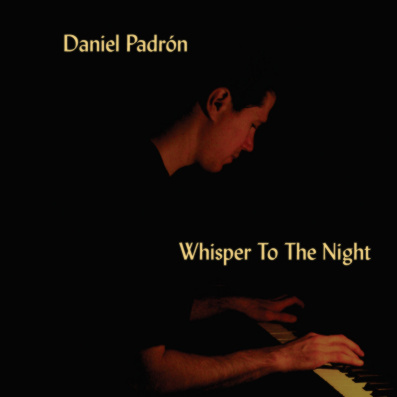 Daniel's solo piano CD, Whisper to the Night, is now available for purchase, directly from this website! All pieces are original compositions performed by him. Scroll down to hear sample MP3's, or to purchase the CD. Click on speaker icons to hear MP3 excerpts of a piece. The Nocturnes have a definite Late Romantic style to them, somewhat reminiscent of Chopin and Rachmaninoff. However, they also carry a unique flavor that is all Daniel's own. A collection of impressionistic pieces with sections of jazz improvisation. Each movement paints scenes encountered by the "lone hiker". Impressionistic / new age style piece. Already a favorite by those who have heard it. The mysterious sounding title track. A piece for violin and piano. A smooth sounding piece with subtle jazz rhythms. A fun jazz piece that alludes to an older style. To order: Click the "Order" button above. You will be routed to the secure shopping cart for Boardman Music Publishing. The shopping cart uses a secure credit card transaction service to process payment, and is the fastest way to place an place an order. Orders are generally shipped the next business day via US Mail. International orders are accepted. If you prefer not to pay by credit card, more details on ordering and shipping can be found at Boardman Music Publishing. After reviewing the payment options, visit the online store to complete your order, or return to this page.